Leadership Level members are corporations that have shown exceptional levels of commitment in their support of NUTC's activities. The Allstate Corporation is one of the largest insurance providers in the United States and one of the largest that is publicly held. The company also has personal lines insurance operations in Canada. Allstate was founded in 1931 as part of Sears, Roebuck and Co., and was spun off in 1993. 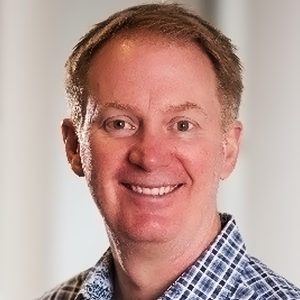 Gary Hallgren is president at Arity, where he leads the development and implementation of Arity’s strategy and operations. Prior to joining Allstate in 2015, Gary served as senior vice president of Corporate Strategy at Telogis, where he negotiated four strategic acquisitions related to fleet management, insurance telematics, routing and logistics and commercial navigation. Previously, he was CEO of Remote Dynamics Inc., where he led a turnaround and positioned the company as a leading telematics supplier to the construction industry. Earlier in his career, Gary served as president and CEO of WirelessCar North America, Inc., which provides telematics services to the fleet management industry and vehicle manufacturers. He also served as vice president of operations at Volvo Technology of America, which provides telematics solutions for cars, trucks and marine products. BlueGrace® is an award-winning, full-service Third Party Logistics (3PL) provider that helps businesses manage their freight spend through industry leading technology with a large network of established carriers to customers across the country. Sure, lots of firms may claim that, but what really sets us apart is our passion to support your success in this complex $750 billion U.S. freight industry. 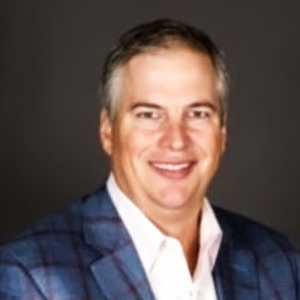 Bobby Harris is the Founder & CEO of BlueGrace Logistics, a 3rd party logistics firm headquartered in Tampa. BlueGrace is known for a focus on high-performance shipping technology, an innovative culture, and having hyper-growth since its inception in 2009. In 2012 INC 500 named BlueGrace the 20th fastest growing company in the US. In 2014, Bobby won Ernst & Young’s Entrepreneur of the Year for Florida and was named one of 4 national finalists. BlueGrace has been named one of Tampa’s best places to work for many years in row. Bobby is an active investor in several businesses and sits on the Board of Marathon Group as well as the Advisory Council for College Hunks. He is a member of YPO, and proudly supports the Humane Society of Tampa Bay as a member of its Advisory Council. He serves on the Governor’s Tampa Bay Partnership Council and the transportation subcommittee. Bobby has been featured in the media including MSNBC, the Wall Street Journal, Forbes, and CNBC. He earned a B.A. in Psychology from the University of South Florida. BNSF Railway operates one of the largest rail systems in North America, with 32,500 route miles covering 28 states and two Canadian provinces. Roger Nober joined BNSF Railway Co. in January 2007 and oversees legal and regulatory matters, environmental, claims, compliance, communications as well as state government and community affairs. Prior to that, Nober was a partner in the Washington office of Steptoe & Johnson LLP. From 2002 to 2006, Nober chaired the U.S. Surface Transportation Board. From 1993 to 2002, he served in various roles at the Department of Transportation and in the U.S. House of Representatives, including serving as chief counsel for the Committee on Transportation and Infrastructure. He has a bachelor’s degree from Haverford College and a Juris Doctor from Harvard University School of Law. Before being named executive chairman, Matthew K. Rose served thirteen years as BNSF’s chief executive officer and eleven years as its chairman, during which time BNSF became a Berkshire Hathaway-owned company. In 1999, Rose was made president and chief operating officer. For almost two years prior to that, he served as senior vice president and chief operating officer. Rose has previously held several positions at Burlington Northern Railroad and in the trucking industry. Rose holds a bachelor’s degree from the University of Missouri. Coyote, A UPS Company, is a leading transportation and logistics service provider that offers truckload, less-than-truckload, and intermodal brokerage services and transportation management. Powered by proprietary technology, smart people, and unrivaled commitment, Coyote believes in doing the right thing for shippers, for carriers, and for each other. No Excuses. As Chief Strategy Officer at Coyote Logistics, a leading provider of non-asset based 3PL solutions across North America and Europe, Chris is responsible for all activities related to North American Sales, Marketing, Operations, Supply Chain Engineering, and Pricing Strategy – ensuring that all are aligned to identify, implement, and innovate capacity, process, and technology solutions for Shippers across the global Coyote network. Before joining Coyote in 2006, Chris served in various strategy development and consulting roles at Adjoined Consulting, Agile Software Corp., Electron Economy (now Viewlocity), and Andersen Consulting. Throughout his career, Chris has architected, implemented, and managed diverse supply chain management and customer service-related projects for a variety of global market leaders in the food and beverage, pharmaceutical, telecommunications, and consumer technology sectors. He earned a B.S. in Industrial & Systems Engineering from Virginia Tech, an M.Eng. in Logistics from MIT, and an MBA from Georgia Tech. Jeff Silver is the co-founder of Chicago-based Coyote Logistics, one of the most innovative, fast-growing third-party logistics (3PL) service providers in North America. Under Silver’s leadership, Coyote became a UPS subsidiary in 2015. Prior to founding Coyote in 2006, Silver transformed the 3PL industry in the 1980s and 1990s with American Backhaulers, the second-largest North American freight brokerage at the time. Crain’s Chicago Business recently named Silver to its 2015 Who’s Who in Chicago Business for the fourth consecutive year. Silver was also recently named to the Supply & Demand Chain Executive 2015 Pros to Know Awards for the third consecutive year. In addition to the NUTC BAC, Silver serves on the MIT School of Engineering Dean’s Advisory Council. He is also a member of the Economic Club of Chicago. CSX Transportation is a Class I railroad operating in the eastern United States and the Canadian provinces of Ontario and Quebec. The railroad operates approximately 21,000 route miles of track. The company is headquartered in Jacksonville, Florida and is a member of the Fortune 500. Director, Corporate Strategy, Growth Office, Cummins Inc.
Satish Chandra spent his early years after graduate school in various roles at Cummins Inc. focused on engineering R&D, Product Development and New Product Introduction. He followed it up by leading the Quality function at the largest manufacturing plant at Cummins Inc. and in the lead role as the Platform Director at Navistar. Mr. Chandra then went over completely to the "dark side" getting an MBA from Kellogg School of Management. Subsequently, he returned to Cummins Inc. and in his current role at Cummins Inc., he focuses on attempting to find an answer to the question "What does a 99-year old company do when they try to grow up?" VP & Chief Technical Officer, Cummins Inc.
Jennifer Rumsey is Vice President and Chief Technical Officer at Cummins Inc. In this role she leads the global technical organization of approximately 10,000 employees responsible for research and engineering across Cummins business segments. As a member of the Cummins Leadership Team, Rumsey helps set the strategy for the company, which includes a commitment to leading in critical technologies and providing a broad portfolio of power solutions for its global customers in diverse industries. Jennifer is a member of the Society of Women Engineers, Society of Automotive Engineers and Women in Trucking Association. She holds a Bachelor of Science in Mechanical Engineering from Purdue University and a Master of Science in Mechanical Engineering from Massachusetts Institute of Technology. Echo Global Logistics is a leading provider of technology-enabled transportation management. Proprietary technology, dedicated service teams and robust procurement power enable clients to achieve significant transportation efficiencies while receiving best-in-class service. Doug Waggoner has served as Chairman of the Board and Chief Executive Officer of Echo Global Logistics since 2006 and has contributed to making Echo a leading provider of technology-enabled transportation management. Prior to Echo, he founded SelecTrans, LLC, a freight management software provider. From 2004 to 2005, he served as the CEO of USF Bestway. Prior to this, he was the senior vice president of strategic marketing for USF Corporation. He also serves on the Board of Directors for the Supply-Chain Innovation Network of Chicago, a new organization emerging out of World Business Chicago’s Plan for Economic Growth and Jobs. Waggoner holds a bachelor’s degree in economics from San Diego State University. FedEx Express provides customers with a broad portfolio of transportation, e-commerce and business services. It inspires its nearly 400,000 employees and contractors to remain absolutely, positively focused on safety, the highest ethical and professional standards, and the needs of their customers and communities. As FedEx Express Vice President of Operations Planning and Engineering, Mike Macyauski is currently responsible for planning, engineering, and consulting services to FedEx Express station, ramp, and hub operations. In that role he leads development of service and productivity improvement across the organization. Since joining the company in 1985 in Operations Management, he has lead organizations to include Operations, Engineering, Business Planning, and Quality and Service Assurance. He is a graduate of the United States Military Academy at West Point, and earned an MBA from the University of Tennessee. Hub Group is a transportation management company providing intermodal, truck brokerage and logistics services throughout North America. A top 50 publicly-traded company in the Chicago area, Hub Group, which has over 2,500 employees and $3.6 billion in revenue, focuses on solutions that offer customers better control of their supply chain while also controlling their costs. For more information, visit www.hubgroup.com. Phil Yeager was named Chief Commercial Officer overseeing sales, pricing, account management, marketing, solutions and intermodal operations in January 2018. Phil formerly held the role of Executive Vice President, Account Management and Intermodal Operations since 2016 after serving as Vice President of Account Management and Business Development since 2014. Phil joined Hub Group in 2011 as Director of Strategy and Acquisitions and led the integration of Mode Transportation. Prior to joining Hub Group, he served as Assistant Vice President of Commercial Banking at BMO Harris Bank, and as an investment banking analyst for Lazard Freres & Co. Phil serves on the boards of the University of Denver’s Transportation Institute, the Northwestern University Transportation Center Business Advisory Council and the Ann & Robert H. Lurie Children’s Hospital-Chicago. Phil earned his Bachelor of Arts degree from Trinity College in Hartford, Connecticut, and a Master of Business Administration from the University of Chicago Booth School of Business. Maven is a personal mobility company that provides hassle-free, on-demand vehicle access for travel, work and everyday life. Consumers and businesses can choose from tech-savvy vehicles that fit every need: hourly rentals for errands, weekly rentals for freelance work, or month long reservations. Maven members enjoy the benefits of car ownership without the hassle, upkeep or cost. All reservations include insurance. 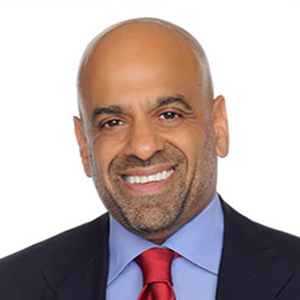 Maven leverages GM’s portfolio of Chevrolet, Buick, GMC and Cadillac vehicles. Paul Pebbles is the Chief Technology Officer for General Motors’ Urban Mobility organization focused on developing a global platform for the Maven car-sharing brand. Paul is responsible for defining products and technologies for GM’s Mobility as a Service future. Paul joined GM in 1999 and has held a series of positions in marketing, product development, information technology and program management primarily within the OnStar business. Paul has previously held positions at Motorola and Amphenol in engineering positions. Paul earned an AS in engineering science from the Alfred State University of New York College of Technology, BS in mechanical engineering from Rensselaer Polytechnic Institute and a MBA from Northwestern University’s Kellogg School of Management. Norfolk Southern is a leading North American transportation provider. Its Norfolk Southern Railway subsidiary operates approximately 21,000 route miles in 22 states and the District of Columbia, serves every major container port in the eastern United States, and provides efficient connections to other rail carriers. Robert Martínez focuses on Norfolk Southern’s industrial development, international business development, including port-related issues, and oversight of the company’s forecasting and market research activities. Prior to joining NS, Martínez served at the U.S. Department of Transportation under the first Bush administration as deputy maritime administrator and was promoted to associate deputy secretary of transportation and director of the office of intermodalism by President George H. W. Bush. He began his career at NS in 1993 but left in 1994 to serve as Virginia secretary of transportation under Governor George Allen. He rejoined NS in 1998. Martínez holds a bachelor’s from Columbia University and a PhD from Yale University. Port of Los Angeles is America’s Port® – the nation’s #1 container port and global model for sustainability, security, and social responsibility. Mr. Seroka was confirmed as Executive Director for the Port of Los Angeles by the Los Angeles City Council on June 11, 2014. An industry-know leader, he brings more than 28 years of experience in shipping, global logistics and executive management to the Port. As Executive Director of the busiest container port in North America, Gene Seroka is responsible for managing a $1 billion budget, leading a team of more than 900 employees, advancing major capital projects, growing cargo volumes, and promoting innovative, sustainable practices that improve Southern California’s economy and quality of life. Larkin joined Legg Mason (later sold to Stifel, Nicolaus & Company, Inc.) in October 2001 to lead the firm’s entry into the transportation markets. In January 2018, he transitioned to Stifel’s Investment Banking team. Previously, Larkin served as chairman & CEO of RailWorks Corporation and managing director with Alex. Brown and Sons' transportation team. He was an assistant vice president of planning and analysis at CSX Transportation, Inc. and a systems engineering consultant with Day & Zimmermann, Inc. Larkin is a CFA charter holder. In addition, he is a member of the Board of Directors for Admiralty Holdings and the Board of Advisors for Transrisk. He has been recognized as an all-star analyst by Institutional Investor and the Wall Street Journal, and received multiple Starmine accuracy awards. Larkin earned an MBA from Harvard University (1984), an MS in Civil Engineering from the University of Texas at Austin (1978), and a BS in Civil Engineering from the University of Vermont (1977). Frank Bush has over 20 years of experience in the airline, travel, travel distribution, transportation and technology industries. Prior to joining Teradata as an industry consultant in transportation, Frank worked in a variety of leadership roles for a global airline, including Revenue Management, Pricing Strategy, Marketing Planning, Corporate Finance, Operations Planning, Corporate Strategic Planning and Data Services. He is a frequent speaker at a variety of transportation industry events and is a strategic advisor to transportation leaders on the creation of an airline PNR Warehouse, Airline Merchandising, the Customer Journey, and linking corporate level strategy to analytics and the data environment. Frank earned his MBA in Finance and Statistics from University of Chicago, Booth School of Business and his Bachelor's degree in Economics / Econometrics from University of California, San Diego. Union Pacific owns one of America’s leading transportation companies. Its principal operating company, Union Pacific Railroad, links 23 states and serves many of the fastest-growing population centers and provides a fuel-efficient, environmentally responsible, and safe mode of freight transportation. Robert M. Knight, Jr., has been the chief financial officer of Union Pacific Corporation since 2004. He is responsible for financial activities of the corporation and Union Pacific Railroad. Knight began his UP career in 1980 and held a variety of roles and responsibilities including leading the railroad’s Energy and Automotive business units. He served as SVP of Finance prior to being named CFO. In 2014, Knight ranked No. 2 on the Wall Street Journal’s list of the Top Performing CFOs in the S&P 500. Knight holds a bachelor’s degree in business administration from Kansas State University and a master’s degree in business administration from Southern Illinois University. With the world's most comprehensive route network and more than 86,000 employees worldwide, United Airlines and United Express fly more than 140 million customers a year to 339 airports across five continents. Jason Birnbaum is the Vice President of Operations Technology at United Airlines. In his role at United, Jason has overall responsibility for all the technology systems that support United’s 88,000 employees including all Operations Divisions, Corporate HR, Finance and Communications. Prior to joining United in 2015, Jason was the CIO for SIRVA, a worldwide relocation and logistics company. Prior to that, he spent 16 years at General Electric, including CIO of GE Consumer and Industrial Europe based in Budapest, and CIO of GE Healthcare Global Supply Chain. Jason has a BS from University of Missouri and an MBA from University of Illinois. He is a certified Six Sigma Black Belt. Toby Enqvist is the Chief Customer Officer for United. Toby has been with United for more than 20 years and has held leadership positions in operations and finance. He was senior vice president of customer solutions and recovery, responsible for the reservations and customer care teams, and for giving front line employees the tools, policies and processes needed to do their job. He also served as vice president of airport operations. Toby joined Continental in 1996. There he served in several positions including the vice president of corporate real estate. Born and raised in Stockholm, Toby moved to the U.S. to attend Ouachita Baptist University on a tennis scholarship, where he earned his B.A. in business administration. He received his MBA from Southern Methodist University in Dallas. He is married and has one daughter. As President of United Cargo, Krems is responsible for all aspects of operations, customer service, sales and marketing activity, revenue management, product quality and technology solutions. Prior to joining United, Krems was VP Americas for Air France-KLM-Martinair Cargo. There, he handled company operations, customer service and sales for North America, South America, Latin America, Canada and the Caribbean. 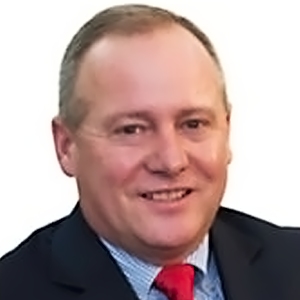 Krems joined United in 2014 after a 27-year career at KLM Cargo. At KLM, he served in a number of leadership roles including VP Asia and VP Europe, Africa & the Middle East. As KLM’s VP Worldwide Customer Service during and after the merger with Air France Cargo, Krems was responsible for integrating all Air France and KLM cargo offices, aligning processes, cultures, IT systems and people globally. Krems holds a bachelor’s degree in commercial economics from Utrecht University, Netherlands, and a post-graduate degree in marketing. Today, he is married with two sons. Tracy oversees the day-to-day operations of the airline in the areas of operations control, flight crew resources, air traffic coordination, and operations planning and analysis. Prior to assuming this role, Lee was vice president of operations planning where he was responsible for setting the reliability goals for the company as well as internal and external operational reporting. Previously, Lee spent more than 20 years at Continental Airlines working in several areas throughout the company including finance, human resources and operations. He joined Continental in 1987 as a crew scheduler. Lee received his bachelor’s degree in finance from Texas Tech University and his MBA from the University of Texas at Austin. UPS is a global leader in logistics, offering a broad range of solutions including transporting packages and freight; facilitating international trade, and deploying advanced technology to more efficiently manage the world of business. Walgreens is the largest drugstore chain in the U.S., with more than 8,200 stores in all 50 states, the District of Columbia, Puerto Rico, and the U.S. Virgin Islands. The company had fiscal 2014 sales of more than $76 billion. 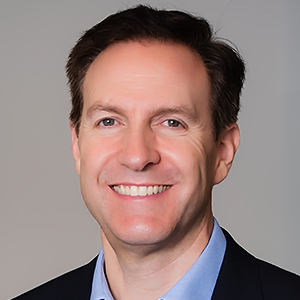 Dov Shenkman is responsible for Walgreens' supply chain strategy, inventory and replenishment management, transportation and import management, supplier development, as well as private brand and DSD supply chain. Prior to joining Walgreens, Shenkman was a Senior Vice President of Inventory Management and Replenishment at OfficeMax. He has over 25 years of industry and management consulting experience, including executive positions at General Motors, i2 and EDS-A.T. Kearney. Shenkman worked and provided consulting services to many of the Global Fortune 500 companies. His expertise includes strategic planning, business transformation, supply chain management and general management. Shenkman holds a Bachelor of Industrial and Management Engineering, and a Master of Business Administration degrees. Sustaining Level members are corporations that have given aid to NUTC, allowing it to continue functioning. AccuFleet International provides high-quality, innovative solutions to its partners in the aviation industry, providing crashworthiness safety testing and engineering, interior and exterior aircraft cleaning, appearance management, and lavatory services. A Federal Aviation Administration Designated Engineering Representative for more than 20 years, Jim Davis has developed and operates the premier independent aircraft fire safety testing facility in the U.S. Prior to joining AccuFleet, Davis was a consultant with Price Waterhouse and an engineer at Texas Instruments. He is on the Board of Airline Fabricare Systems and is Co-Chair of the Materials Flammability Working Group formed by the Aviation Rulemaking Advisory Committee. Davis earned a Master of Science in Operation Research and an MBA, both from Southern Methodist University. He earned his Bachelor of Science in Electrical Engineering from Rice University. Alliance Ground International provides airline cargo handling services to 35 airlines at eleven airports: Chicago, New York, Atlanta, and Miami, Orlando, Fort Lauderdale, Los Angeles, San Francisco, Las Vegas and LaGuardia. Jared Azcuy serves as the Chief Operating Officer of Alliance Ground International, LLC. Mr. Azcuy contributes nineteen years of experience in the transportation handling industry. As Vice President of Administration for Miami Aircraft Support, Mr. Azcuy oversaw all administrative, accounting and finance functions handled at its Miami headquarters. Following the MAS sale to WFS in 1999, Mr. Azcuy was retained by WFS to oversee the integration of both corporate offices. Since 2002, he served as Vice President of Phoenix Fuel Corporation, where he oversaw its finance, accounting, purchasing and sales divisions. At Phoenix Fuel in 2002, he helped found Cargo Force where he continues to manage all the leasing, purchasing, payables, receivables, payroll, benefits and contract administration for Cargo Force’s operations and locations. AM General designs, engineers, manufactures, supplies and supports specialized vehicles for military and commercial customers worldwide. Through its military business, the company is widely recognized as the world leader in design, engineering, manufacturing and logistics support of Tactical Vehicles, having produced and sustained more than 300,000 vehicles in over 60 countries. AM General has more than five decades of experience meeting the needs of the defense and automotive industries. As VP of Engineering and Chief Technology Officer at AM General, Mr. Luther is overseeing the ideation, development, and prototyping of vehicles for military and commercial applications. Additionally, he has been instrumental in developing a corporate technology road map that considers current and future automotive and technology trends, such as advanced powertrain options, alternative fuels, and autonomous technologies. Previously, Mr. Luther served in a dual role as Vice President of Portfolio Planning & Program Management and Vice President of Defense Engineering at Navistar. Luther holds a BS in Chemical Engineering from Youngstown State University, a Master’s of Engineering in Chemical Engineering from Johns Hopkins University, and an Executive MBA from University of Houston. He is also a Certified CM Configuration Manager and an Automotive Services Excellence (ASE) re-certified Truck Technician with a Commercial Driver’s License. Anacostia Rail Holdings Company is the owner and manager of six U.S. railroads operating in seven states. These companies have provided excellent financial returns and have established strong business relationships with their customers, employees, and communities. James Zubik is the Vice President of Finance and Administration at Anacostia Rail Holdings. In his role at Anacostia, James has overall responsibility for the accounting, management information and human resource functions. Prior to joining Anacostia, Mr. Zubik worked in the pipeline and energy industry for 15 years and has over 30 years of experience in accounting, finance and administration. He received his degree from Northern Illinois University, CPA from the University of Illinois and an MBA from the University of Notre Dame. He is also currently a member of the American Institute of Certified Public Accountants. Atlas Air Worldwide Holdings, Inc. is a leading global provider of outsourced aircraft and aviation services. It is the parent company of Atlas Air, Inc., Southern Air Holdings, Inc., and Titan Aviation Holdings, Inc. and is the majority owner of Polar Air Cargo Worldwide, Inc. Its companies provide customers the broadest array of 747, 777, 767, 757 and 737 aircraft. In 2016, we operated more than 39,882 flights, serving 425 destinations/119 countries. Flynn has a forty-year career in transportation and supply chain management. Currently, Bill is President and CEO of Atlas Air Worldwide Holdings, Inc. Prior to AAWW, Bill was President and CEO of GeoLogistics, Inc. a global freight forwarding and supply chain services provider. Bill held senior management positions at CSX Transportation, CSX Corporation and Sea-Land Service, Inc. At CSX Transportation, he was Senior Vice President responsible for the industrial unit of the railroad and was Senior Vice President responsible for Strategic Planning at CSX Corporation. As Senior Vice President at Sea-Land Service, he was responsible for the company’s business in Asia. Bill serves on the Board of Directors of Atlas Air Worldwide. He also serves on the Boards of Republic Services, Ports America, Airlines for America, Business Executives for National Security and is the Chairman of the Board of the National Defense Transportation Association. Bank of America Merrill Lynch is one of the world’s largest financial institutions, serving consumers, businesses, and large corporations with a full range of capital raising, banking, investing, asset management, and risk management products and services. As Managing Director in Bank of America Merrill Lynch’s Transportation & Infrastructure investment banking group Alex Setness works with clients across logistics, surface transportation, aviation and transportation infrastructure with a focus on North America. He joined Bank of America Merrill Lynch in 2015 and is based in New York. Prior to that he worked for Citi for over a decade, most recently as Head of EMEA Transportation investment banking based in London. Alex received his B.A. in Economics and History from Yale University. The Boeing Company is the world’s leading aerospace company and the largest manufacturer of commercial jetliners and military aircraft combined. Kettering serves as chief engineer for Aeromechanics Technology within Boeing Research & Technology, Boeing’s advanced research organization. He is also enterprise director for Platform Performance and Structures domains, two of eight focused technology domains that comprise the company’s Enterprise Technology Strategy. Kettering works across Boeing’s many business units to provide focus on technical priorities and maximize value for platform performance and structures related research investments. Since joining Boeing in 1986, Kettering has held a series of engineering, marketing, services, and leadership positions in Boeing Commercial Airplanes and Air Traffic Management business units. These included international assignments with BMW AG in Munich, Germany and British Airways Flight Operations and Engineering in London, England. Kettering earned a bachelor’s degree in aeronautical engineering from California Polytechnic State University in San Luis Obispo. Boyle Transportation is a national motor carrier specializing in cargo that requires exceptional security, safety, and quality control. The company's primary customers are life science, defense, and aerospace organizations. Andrew is co-owner and Executive Vice President. He was previously an investment banker with J.P. Morgan. He earned an MBA from the Kellogg School of Management and an AB from Bowdoin College. Andrew is a member of the executive committee and board of the American Trucking Associations, a director of the House of Hope, and a trustee of Eastern Bank. Canal Barge provides high-quality marine transportation, bulk liquid storage, and management services for its customers. It is privately owned and headquartered in New Orleans. The company celebrated 80 years in 2014. H. Merritt Lane, III has served as the president and CEO of Canal Barge since 1994. He is actively involved in industry affairs, having served as Chairman of the Board of the American Waterways Operators (2008-2009), as Chairman of the Waterways Council, Inc. (2015-2016), and holding positions as a member of the Board for the National Waterways Foundation and the U.S. Coast Guard Foundation. He also serves on the Board of Directors of Hibernia Homestead Bancorp and Pontchartrain Materials Company. Mr. Lane is active in numerous civic organizations and has received awards for his volunteerism. After graduating from the University of Virginia, he worked at Paine Webber Inc. before joining his family’s marine transportation business. CenterPoint is a Chicago-based real estate company focused on the development, investment and management of industrial property and related rail, road and port infrastructure throughout the United States. Chapman is the President and Chief Executive Officer of CenterPoint Properties Trust. A graduate of Stanford University and of the Stanford Graduate School of Business, Mr. Chapman is a member of several boards including Cousins Properties Inc. (NYSE: CUZ) and First Century Energy Holdings, Inc. He is also an Executive Advisor to the Chicago Metropolitan Planning Council (MPC). China International Marine Containers (Group) Ltd. (CIMC) is a world leading supplier of logistics and energy equipment. CIMC is dedicated to supplying high-quality and reliable equipment and services, including containers, vehicles, energy, chemical and food equipment, offshore, logistics services, airport facilities, and financial services. The North American CEO of CIMC Capital, the captive finance partner of CIMC. CIMC Capital’s mission is to enable CIMC businesses to expand in the United States and Canada. Jeffrey attained a master’s degree in communication from Northwestern University and earned his bachelor’s degree from Carthage College. Along with his educational background, Jeffrey utilizes his experiences at Wells Fargo, Wells Fargo Equipment Finance and the Chicago Board of Trade, to make him a well-rounded leader in today’s global economy. Jeffrey and his wife, Anne, are both native Chicagoans. They have a son, Jack, and a daughter, Claire. The Walkers currently reside in Naperville, Illinois. C&K Holdings Acquisition, LLC is the parent company of C&K Trucking, Skyline Express, and AV Logistics. C&K operates one of the largest independent intermodal drayage companies and logistics companies in the United States. In 2003, Burton led the leveraged buyout of C&K Holdings, becoming its president and CEO. Prior to his career at C&K, he was senior vice president and division head of commercial lending at LaSalle Bank N.A. In this position, he provided financial and capital structure guidance to middle market companies. He is an active member in multiple industry associations including the Intermodal Association of North America, the Intermodal Association of Chicago, the Traffic Club of Chicago, and the Northwestern University Transportation Center’s Sandhouse Gang. He holds an MBA from Northwestern University and a business degree from the University of Illinois. CN—Canadian National Railway Company and its operating railway subsidiaries—spans Canada and mid-America, from the Atlantic and Pacific oceans to the Gulf of Mexico with connections to all points in North America. Delta Air Lines serves nearly 180 million customers each year. It offers service to 328 destinations in 57 countries on six continents. Headquartered in Atlanta, Delta employs nearly 80,000 employees worldwide and operates a mainline fleet of more than 800 aircraft. Cantarutti was appointed as SkyTeam’s Chief Executive Officer and Managing Director in November 2015. Based at the alliance’s headquarters in Amsterdam, Cantarutti is responsible for overseeing the implementation of the strategy and business plan of the alliance, maximizing its value for customers and members airlines. Bringing more than 25 years industry experience to the role, Cantarutti joined SkyTeam from Delta Air Lines. Throughout his career he has a track record of forging successful airline partnerships, including joint ventures, and driving customer-focused results. Cantarutti holds a bachelor’s degree from the University of California–Berkeley and a master’s of business administration from Northwestern University. DSC Logistics focuses on designing, integrating, managing and adapting supply chain solutions, including supply chain analysis and design, network optimization, logistics center management, transportation management and consolidation, business process integration, and value-added services. Drake is Chairman and Chief Executive Officer of DSC Logistics. For over 20 years, Ann has guided DSC Logistics to become one of the leading supply chain management firms in the US, creating a business model based on integrated, comprehensive supply chain solutions built on collaborative partnerships, innovative thinking and high-performance operations. Ann is a member of the Kellogg Global Advisory Board and is the former vice chair of the Business Advisory Council (BAC) for the Transportation Center, and serves on the Board of Governors for Chicago's Metropolitan Planning Council. In 2012 Ann launched AWESOME (Achieving Women's Excellence in Supply Chain Operations, Management and Education) to advance women's leadership throughout the industry. Her undergraduate degree is from the University of Iowa and her MBA from Northwestern University Kellogg School of Management. EagleRail Container Logistics (ERCL) is dedicated to automating container transportation in and around ports, rail yards and container handling facilities using overhead rail/guideway systems. EagleRail expedites operations where real estate is at a premium and traditional short-haul drayage is causing unacceptable, delays, congestion and pollution; and where traditional rail and road expansion cannot solve the issues. Wychocki has spent 30 years in marketing, advertising and business development and became the lead investor and head evangelist for EagleRail in 2014 after the sale of the marketing agency in which he was a senior partner. Mike traveled the world for six months, seeking a new business venture that would have a positive and sustainable impact on the planet, its people and the environment. He has found that mission in the all-electric and automated, overhead shipping-container concept and believes that the time has come to move 60,000-lb. shipping containers around like 60-lb. packages in a common warehouse. GATX Corporation provides leasing and related services to customers operating rail, marine, and other targeted assets. GATX controls one of the largest railcar fleets in the world. Horwitz has responsibility for the GATX North American Rail Fleet, which consists of roughly 130,000 tank and freight cars of all types. Since joining GATX as an Engineer in 1995, he has spent the majority of his time in the Commercial organization and has led GATX’s Eastern Sales region. He is focused on profitably growing GATX’s rail fleet as well as developing pricing and lease term strategies to maximize the overall profitability of the North American lease fleet. He spends a significant amount of time working with GATX’s customers, railcar manufacturers, and other suppliers. 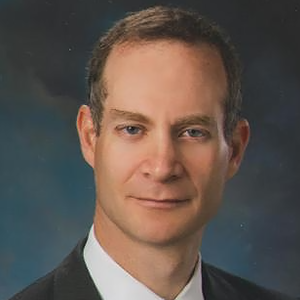 Horwitz is a graduate of Northwestern University, where he received an undergraduate degree in Mechanical Engineering and an MBA from the Kellogg School of Management. Greenbriar Equity Group, LP is a private equity firm focused exclusively on making investments in the global transportation industry, including companies in commercial aerospace and defense, automotive, freight and passenger transport, logistics and distribution and related sectors. Prior to founding Greenbriar in 1999, Regg Jones spent thirteen years at Goldman Sachs where he was managing director and group head of global transportation investment banking. Jones also worked as a consultant at Bain & Company. He earned a bachelor’s degree from Williams College and an MBA from Harvard Business School. Corporate directorships include Active Aero Group (2000-2010), AmSafe (2007-2012), Ardmore Shipping, Argo-Tech Corporation (2005-2006), Electro-Motive Diesel (2005-2010), Frauscher Rail Sensors, Morgan Auto Group, NordoCo, and PetroChoice (2012-2015). Grupo ADO provides transportation logistics, passenger terminal management, commercial tourism operations, and passenger, tourist, urban, and personnel transportation services throughout Mexico. Aurelio Pérez Alonso began his career at Grupo ADO in 2001 as controller of accounting in the bus transportation division, and has since worked in many different areas within the company. Prior to Grupo ADO, Pérez Alonso managed bus owners and served as a business consultant for Arthur Andersen. He currently serves on the Grupo ADO board of directors. He also serves as secretary of CANAPAT, the National Organization of Bus Transportation Companies in Mexico. He holds a master’s degree from the University of Chicago and a bachelor’s degree from Instituto Tecnológico Autónomo de México. Prior to founding Headhaul Capital, Seth Wilson was a Partner and Managing Director of Jefferies Capital Partners LLC and its predecessors; there, he headed the Transportation & Logistics investing practice for 20 years and was a member of the Investment Committee. In addition to his duties at Headhaul Capital, Wilson is the Chairman of the Board of OL International Holdings LLC, an international freight forwarding company, and serves on the board of NYC Outward Bound, a charitable organization that operates a network of public schools in partnership with the New York City Department of Education. Wilson received an AB from Harvard University and an MBA from the Stanford University Graduate School of Business. IBM, a company that in 2010 had a revenue of $99.9 billion, has built a record of leadership by pursuing the most transformation opportunities, inventing breakthrough technologies to capture them, and building an organization able to deliver superior results over the long term. Dierkx leads a global team of rail subject matter experts, researchers and developers focused on leveraging IBM innovation to help transform client’s businesses. He is currently working globally with clients on “game-changing” solutions to key challenges—cloud, analytics, mobile and social business. Dierkx was previously Senior Vice President of Operations for a subsidiary of Marine Terminal Corporation (now PortsAmerica) and Vice President at Savi Technology, now part of Lockheed Martin. He received his BA from the University of California, Berkeley and his MBA from Duke University. Jeppesen is the world’s leading provider of aeronautical information, flight planning and operations management systems, and crew planning and scheduling solutions. Jeppesen flight optimization tools help airlines and aircraft operators maximize operational efficiency and are part of the Boeing AnalytX portfolio. As VP, Digital Aviation & Analytics for Boeing Global Services, Sain oversees all aspects of the organization's operation and its mix of products and services. He previously served as CEO, Digital Aviation and led Flight Optimization Solutions and the Professional Services organization responsible for seamlessly implementing and supporting the broad suite of airline optimization systems within the Digital Aviation portfolio. He's also served as director of strategy and business development for Boeing Fleet Services where he managed strategy development and execution across freighter conversions, airplane modifications, maintenance and engineering services and information services. J.P. Morgan is a leader in financial services, offering innovative and intelligent solutions to clients in more than 100 countries with one of the most comprehensive global product platforms available. Hamilton joined J.P. Morgan in 1985 and spent 15 years building the transportation investment banking franchise. From 2000 to 2006, he was head of global transportation investment banking at Deutsche Bank and a managing director at Integrated Finance Ltd. He is a licensed merchant marine officer and former lieutenant commander in the U.S. Naval Reserve. Hamilton was also an assistant professor of marine transportation at the U.S. Merchant Marine Academy. He holds a bachelor’s degree from the U.S. Merchant Marine Academy and an MBA from New York University. Managing Director, Littlejohn & Co.
Edmund J. Feeley joined Littlejohn & Co. as a partner in 1998. Previously, he was president and chief operating officer of Fleer Corp. and, prior to that, senior vice president of The Timberland Co. From 1985 to 1993 he was a principal with Booz Allen & Hamilton. He began his career as a project engineer with Newport News Shipbuilding. 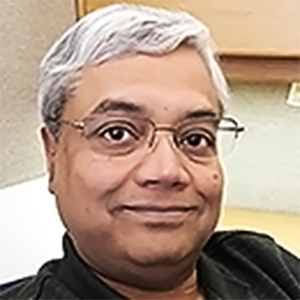 He received an MBA from the College of William & Mary in 1985 and a BSE in naval architecture from the University of Michigan in 1982. Matson Logistics is a leading U.S. carrier in the Pacific. Founded in 1882, the company provides a vital lifeline to the island economies of Hawaii, Guam and Micronesia and premium, expedited service from China to Southern California. VP, Finance, Matson Logistics, Inc.
Grace Cerocke’s career with Matson Logistics began in 1997 as a part time operations clerk while attending DePaul University. After graduating with a bachelor’s degree in Accounting and earning her CPA in 2000, she began working full time as a senior accountant. She was named Vice President of Finance in 2012. Throughout her career, Cerocke has been instrumental in developing and improving many of Matson Logistics’ financial accounting processes and has had a key role in numerous strategic initiatives, including the due diligence and integration of several acquisitions and the design and implementation of a proprietary transportation management system. In her current role, she is responsible for all Finance division functions at Matson Logistics, including general ledger accounting, G&A accounting, fixed asset accounting, accounts payable, accounts receivable, credit and collections, budgeting and strategic planning. Mercator International, LLC is a consulting firm that focuses on ocean shipping, intermodal transportation, ports, and inter-continental supply chains. Clients include port authorities, marine terminal operators, financial institutions, logistics service providers, and importers/exporters. Steven Rothberg has 33 years of diversified experience in international freight transportation. He began his career in operations planning with Southern Pacific Railroad, then directed transpacific marketing for U.S. Steamship Lines, and was director of corporate plans for United Airlines. He held executive positions for Sea-Land Service, and helped launch and manage the Global Ports Group of Macquarie Capital Limited. He has been providing strategic and operational consulting services to clients for more than seven years. He received a bachelor’s from Cornell and master’s in transportation systems from MIT. Morgan Stanley has continually broken new ground in advising its clients on strategic transactions, pioneering the global expansion of finance and capital markets, and providing new opportunities for individual and institutional investors since its founding in 1935. Eli Gross serves as global head of Morgan Stanley’s Transportation, Logistics and Infrastructure Group. He joined Morgan Stanley in 1998 in the mergers, acquisitions & restructuring department. Prior to that, he worked for Dillon Read and Lazard Frères & Co. Throughout his career with Morgan Stanley, he has worked on strategic transactions as well as debt and equity financing in the transportation, logistics, travel and infrastructure industries. He holds an MBA and a BS from the Wharton School and is a vice chairman of the board of the Union Settlement Association. Nippon Cargo Airlines is a Japanese all-cargo airline operating B747-400 and 747-8F freighter aircraft. Operating from Tokyo’s Narita Airport, NCA operates flights to Europe, the United States, and Asia. NCA is owned by Nippon Yusen Kabushiki Kaisha. Shawn McWhorter joined Nippon Cargo Airlines in 2007 and is president of the Americas Region, working out of the Regional Headquarters office at Chicago’s O’Hare Airport. He is responsible for all business activities including Sales, Marketing, Operations, Accounting, and Administration for North and South America. Prior to NCA, he worked in Minneapolis for Northwest Airlines as Vice President – Cargo Network Management and was responsible for managing $1B in cargo revenue. Originally from Atlanta, he holds an engineering degree from Georgia Institute of Technology. Oliver Wyman is a top-tier international management consulting firm that combines deep industry knowledge with specialized expertise in strategy, operations, risk management, organizational transformation, and leadership development. Mr. Lortie is a Partner in Oliver Wyman’s Global Transportation Practice and is responsible for Oliver Wyman’s activities in the Rail sector globally. Mr. Lortie is also the Market Leader for the Canada region and a member of the firm’s Americas Leadership Team. Over the past 18 years, he has advised boards and executive teams on a global basis in the transportation and manufacturing sectors on a wide range of topics including strategy, marketing, human capital, mergers and acquisitions, supply chains and operations. He has specific expertise in value growth strategies, and in designing and executing large-scale organizational and operational transformations. Prior to joining Oliver Wyman, Mr. Lortie worked for regional airlines in France and Argentina, and for Virgin Trains, a leading passenger train operator in the United Kingdom. He holds a bachelor’s degree in computer engineering from the École Polytechnique de Montréal and an MBA in finance, marketing, and organizational behavior from the Kellogg School of Management. OmniTRAX is one of North America’s largest private railroad and transportation management companies. Its core capabilities include providing management services to railroads and port facilities. OmniTRAX also has the unique capability of offering specialized industrial development and real estate solutions. Dave is a career railroad professional with 30 years of multi-disciplinary experience. He is currently responsible for the creation of public-private partnerships in addition to representing the company on political and legislative matters. Dave served in a similar capacity at RailAmerica. He also held key roles in operations, strategic planning and business development at Amtrak and previous to that spent 9 years with Conrail in marketing and corporate strategy. Dave holds an undergraduate degree in Business from Indiana University, and an MBA degree from the Kellogg School at Northwestern University. He also holds a professional certification (CTL) from the American Society of Transportation and Logistics. Progress Rail Services, a Caterpillar Company, is one of the largest integrated and diversified suppliers of railroad and transit system products and services worldwide. With the acquisition of Electro-Motive Diesel (EMD) in 2010, the world’s largest builder of diesel-electric locomotives and large scale diesel power engines. Marty joined Progress Rail in 1993 when Corbin Railway Services purchased Steel Processing Services, later to become Progress Rail. Shortly thereafter, he was named Assistant VP of Materials Management for the company’s freight car wheel shops, freight car parts and car dismantling operations. In 1998, he became VP, Operations for the company’s wheel and axle shops, parts reclamation, mobile crews and outside yards. He was named VP, Sales & Marketing for Progress Rail's Locomotive and Railcar Services business unit in March 2002 and was promoted to VP & CMO for Locomotive & Railcar Services in January 2009. In January 2011, he was promoted to Senior VP of Locomotive & Railcar Services and in 2018, with expanded responsibilities internationally, named Executive VP of Rolling Stock (formerly known as the company’s Locomotive and Railcar Services division). He was named President & CEO of Progress Rail in March 2019. His predecessor, Billy Ainsworth, was promoted to Group President of Caterpillar's Energy & Transportation division. Founded in 2000, Republic Partners is an investment bank that provides highly personalized service to owners and leaders of middle-market companies. The firm advises on mergers & acquisitions and often augments typical investment banking activities by providing ongoing strategic and financial advice. 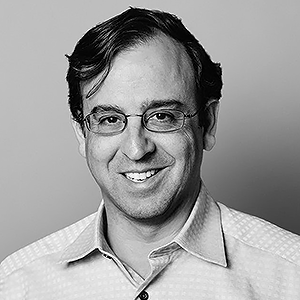 Rob Levin is the founder of Republic Partners, a boutique investment banking firm that provides strategic advisory, corporate finance and mergers and acquisitions services to the logistics, transportation, and industrial sectors. He has played a principle role in a wide variety of transactions for clients including GENCO, BOMI de Mexico, Phoenix International, Pitt-Ohio and many more. Prior to forming Republic Partners he was a founding principal of Thoma Cressey Equity Partners, a Chicago-based private equity firm. Earlier in his career, Rob held positions at The First Boston Corporation (now Credit Suisse) in the Mergers & Acquisitions Group and at Bankers Trust (now Deutsche Bank) in the Corporate Finance and Mergers & Acquisitions Group. Rob graduated with an AB from Harvard University and received his Masters of Management from Northwestern’s J.L Kellogg Graduate School of Management. Ruan Transportation Management Systems is a privately held third party logistics firm headquartered in Des Moines that provides dedicated fleet management, logistics management, warehousing and other supply chain services. McLean joined Ruan in 2007 and assumed his current role in January 2015. His prior roles within Ruan have included COO, CIO and oversight of the company's legal and assets departments. Prior to joining Ruan McLean assisted companies with mergers, acquisitions and equity offerings at William Blair & Company in Chicago, IL. His previous experience includes roles at Deloitte where he was a systems consultant and Cravath, Swaine & Moore where he assisted with corporate transactions. McLean holds a MBA from the Kellogg School of Management and a law degree from Northwestern University School of Law. He earned his undergraduate degree in computer engineering from Northwestern. Along with serving as a member of the Business Advisory Council, he serves as Chair of the Iowa Business Council and also serves on the board of directors for the Greater Des Moines Partnership and Reaching Higher Iowa. Schneider, a $4 billion company headquartered in Green Bay, Wisconsin, is the premier provider of truckload, logistics, and intermodal services throughout North America and China. Schneider has provided expert transportation and logistics solutions for more than 76 years. Paul Schneider assesses strategic partnerships, mergers & acquisitions, and corporate finance activities for venture capital fund investments and various holding companies. Previous to his family business and venture capital career, he was a corporate finance analyst for global investment banking leader Morgan Stanley & Co. Schneider has an executive MBA from the Kellogg School of Management, a master’s in information systems from the University of Wisconsin-Oshkosh, and a bachelor’s in Economics from Northwestern University. He serves on the corporate board of directors of Schneider, TrafficCast International, and NEW Capital Fund. 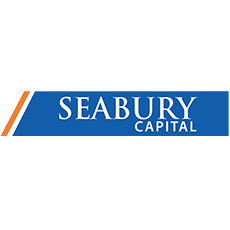 Seabury Capital LLC (“Seabury Capital”) operates a number of specialty finance, investment banking, technology and software companies with a core focus anchored in aviation, aerospace & defense, maritime, and financial services/technology. Schmidt joined Seabury Capital’s investment banking team in 2018 to expand the firm’s portfolio of investments in technology companies that digitally enable aviation and aerospace operations. Previously, Schmidt served as AAR’s head of digital and technical support services. Schmidt was also a Senior Vice President at Macquarie Capital and a Partner at Oliver Wyman and A.T. Kearney. Schmidt has spent the majority of his career in the aviation industry with a focus on restructuring, transformation and innovation. He earned an MBA from Northwestern University’s Kellogg Graduate School of Management and a Bachelor of Science Degree from Embry Riddle. TranzAct Technologies, Inc. delivers the latest technology, innovation and industry insight to shippers of all size and mode with freight audit and payment, web-based TMS applications, carrier rate negotiation and contract development, risk management and consulting. President, CEO & Chairman, TranzAct Technologies, Inc. Since joining TranzAct in 1988, Jean Regan has guided its strategic direction and continued growth as an organization uniquely capable of providing state-of-the-art transportation cost management technology for the marketplace. Her recognized industry and business management expertise has resulted in invitations to join boards of directors and Industry Advisory Committees including a major U.S. Insurance Company serving on the Audit, Investment & Finance, and Technology Committees. She is a member of the Dean’s Business Council at the University of Illinois and numerous professional organizations. She has a BS in accounting (Hons) from the University of Illinois and a Master’s of Management with a minor in finance from Northwestern University. Trinity Industries, headquartered in Dallas, Texas, is a diversified industry company that owns market-leading businesses which provide products and services to the industrial, energy, transportation, and construction sectors. Executive VP & Chief Commercial Officer, Trinity Industries, Inc.
Mr. Marchetto is responsible for all of TrinityRail’s commercial activities, secondary market activities, and customer and industry relationships. He has recently taken over the revitalized efforts for commercial sales, marketing, and branding. He is spearheading the use of analytics and analysis in driving business decisions and service to TrinityRail customers. With over two decades of leadership experience at Trinity Industries, Eric has been a key contributor towards the development, growth, and evolution of the railcar manufacturing, leasing, and services businesses into the TrinityRail Integrated Business Model. He served as TrinityRail’s Chief Financial Officer, Senior Vice President of Capital Markets, and Executive Vice President of Leasing. He began his career with Ernst and Young with clients in the mortgage servicing and semiconductor industries. He graduated from Southern Methodist University in 1992 with a BBA/Accounting and a BA/Economics. TTX is the largest provider of intermodal railroad equipment and freight car management services, with a fleet of more than 200,000 railcars. TTX operates a railcar repair and modification network consisting of three major plants and 39 field maintenance operations. A 26-year veteran of the railroad industry, Thomas F. Wells joined TTX in 2001 as senior vice president–fleet management, and in 2006 he was named executive vice president. In this role, Wells was responsible for all research, design, development, procurement, and project management of new railcar and component design. He also managed the maintenance strategy, including marketing and external communication of maintenance and modification services. Prior to joining TTX, he served in a variety of management positions at Norfolk Southern. Uber Freight is a free app that matches carriers with shippers. Just tap a button and instantly book the loads you want to haul. And, thanks to upfront pricing you’ll always know how much you’ll get paid. Plus, we pay carriers fast—within 7 days. 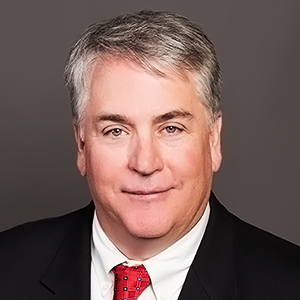 Bill Driegert is the Director of Uber Freight. Prior to joining Uber, he served as Chief Operations Officer at Pillow Homes. He also spent time at Amazon as Director of Planning and Innovation with oversight over new initiatives in final mile delivery and truckload. Bill was a founding team member of Coyote Logistics (acquired by UPS) and the company’s Chief Innovation Officer. He started his career building race-cars in Vermont before joining PepsiCo to start a more glamorous career in logistics. Bill lives in Tiburon, CA with his wife and 2 children and in his limited free-time still enjoys mountain biking and tinkering on old cars and motorcycles. Uptake is a Chicago-based predictive analytics SaaS platform provider that helps major industries optimize performance, reduce asset failures and enhance safety. Pairing what Uptake knows best-machine learning, big data and analytics—with the expertise of our industrial partners that build and maintain high-value assets, Uptake co-creates industry-specific platforms and applications. Brad Keywell is the Co-Founder and CEO of Uptake Technologies, which provides actionable insights based on predictive analytics through a SaaS platform to global industries including rail, construction, aerospace, mining, and energy. Brad is the co-founder of fourteen companies, including Groupon (NASDAQ:GRPN), Echo Global Logistics (ECHO), and MediaOcean. He also is the co-founder of Lightbank, which has invested in over 100 technology companies. He is the founder and Co-Chairman of Chicago Ideas Week, a global ideas platform, and also of Future Founders Foundation, which provides entrepreneurial education and mentorship to over three thousand inner city youth annually. The philanthropic commitment of Brad and his wife Kim includes their signing of The Giving Pledge. Brad holds a J.D. and B.B.A. from the University of Michigan. The Wells Fargo Equipment Finance, Surface Transportation Group of Wells Fargo Rail, provides competitive fixed and floating-rate loans and leases covering a full range of commercial vehicles and rail equipment for businesses nationwide. Equipment financed by the Surface Transportation Group includes trucks, trailers, buses, chassis, railcars, and locomotives. Lori is the Chief Operating Officer for Wells Fargo Rail Corporation which is the rail equipment leasing subsidiary of Wells Fargo Bank. Wells Fargo Rail (WFR) is the largest rail equipment operating lessor in North America and owns and leases over 175,00 railcars and 1,400 locomotives. She started as CFO with WFR in 1996 shortly after its start-up. She has had various responsibilities during her tenure with the company. More recently, she played an integral role in leading WFR’s M&A efforts. Before Wells Fargo Rail, she worked as the Controller for Garvey International, a privately held company participating primarily in the transportation industry. She started her career in public accounting with Grant Thornton LLP focusing on clients in the transportation, manufacturing, construction and not-for-profit industries. She earned a Bachelor of Science degree in Accounting from Illinois State University and a CPA certificate from the State of Illinois. Association Level members are corporations that have participated with NUTC in it's activities. The Association of American Railroads is the world’s leading railroad policy, research and technology organization focusing on the safety and productivity of rail carriers. AAR members include the major freight railroads of the U.S., Canada and Mexico, as well as Amtrak. Before joining the Association of American Railroads, Ed Hamberger was a managing partner in the Washington, DC, office of Baker, Donelson, Bearman & Caldwell. He also served as assistant secretary for governmental affairs at the Department of Transportation. Hamberger also serves on the Blue Ribbon Panel of Transportation Experts, appointed by the National Surface Transportation Policy and Revenue Study Commission. He began his transportation career in 1977 as general counsel of the National Transportation Policy Study Commission. He received his JD, master’s, and bachelor’s degrees from Georgetown University. American Trucking Association is the largest national trade association for the trucking industry. Through a federation of 50 affiliated state trucking associations and industry-related conferences and councils, ATA is the voice of the industry America depends on most to move our nation’s freight. Follow ATA on Twitter or on Facebook. Trucking Moves America Forward. Mr. Spear is President and CEO of the American Trucking Association, advocating public policy on behalf of the nation's trucking industry. He serves on the Board of Directors for the American Transportation Research Institute, the Federal Advisory Committee on Autonomous Technology, the Northwestern University Transportation Center Advisory Council and the Congressional Award Foundation. Previously, Mr. Spear was Vice President of Government Affairs for Hyundai Motor Company, serving on the Global Automakers Executive Committee; Vice President of Emerging Markets for Honeywell International, based in Bracknell, United Kingdom; and Vice President for Honeywell Government Relations in Washington, D.C. and Brussels, Belgium, managing corporate interests in the US, Europe, Middle East, Africa, Central Asia and Latin America. The Council of Supply Chain Management Professionals (CSCMP) is dedicated to the advancement and dissemination of research and knowledge on supply chain management. CSCMP’s 8,500+ members represent nearly all industry sectors, government, and academia from 67 countries. Rick Blasgen began his career with Nabisco, where he held various logistics positions of increasing responsibility in inventory management, order processing, and transportation and distribution center operations management. He became vice president, supply chain, at Nabisco in 1998, then vice president, supply chain, for Kraft in 2002. From 2003 until 2005, he served as senior vice president, integrated logistics, at ConAgra Foods. Most recently, Blasgen was designated by the US Department of Commerce to serve as the Chair of the Advisory Committee on Supply Chain Competitiveness (ACSCC). Blasgen earned his degree in business administration from Governors State University. Robert Puentes is President and CEO of the Eno Center for Transportation a non-profit think tank with the mission of improving transportation policy and leadership. Prior to joining Eno, he was a senior fellow at the Brookings Institution’s Metropolitan Policy Program where he directed the program’s Metropolitan Infrastructure Initiative. He is currently a non-resident senior fellow with Brookings. Before Brookings, Robert was the director of infrastructure programs at the Intelligent Transportation Society of America. Robert has worked extensively on a variety of transportation issues, including infrastructure funding and finance, and city and urban planning. He is a frequent speaker to a variety of groups, a regular contributor in newspapers and other media, and has testified before Congressional committees. He holds a master’s degree from the University of Virginia where he served on the Alumni Advisory Board, and was an affiliated professor with Georgetown University’s Public Policy Institute. From its beginnings in 1907, the National Industrial Transportation League has served as the shippers’ voice as it carries out its mission to advance the views of shippers on freight transportation issues and enhance their professional development. 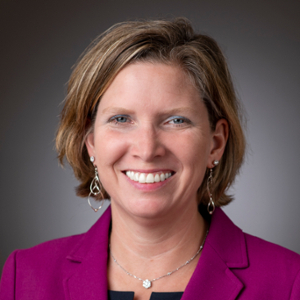 Since March 2016, Jennifer Hedrick has served as the Executive Director of the National Industrial Transportation League, the only broad based trade association representing shippers. Hedrick comes to the League after nine years with the Pellet Fuels Institute, of which she served as executive director from 2011-2016. As executive director she oversaw day-to-day operations for the association. She led the implementation and adoption of the nation’s first standards program for pellet fuel, and has served as a spokesperson for renewable energy adoption to national and international audiences. She helped establish PFI’s first formal partnership with the U.S. Department of Agriculture and generated support toward pursuit of a wood energy check off program. Hedrick earned a BS from Bridgewater College and an MA from Virginia Tech. UITP (Union Internationale des Transports Publics) is the International Association of Public Transport authorities and operators, policy decision-makers, scientific institutes and the public transport supply and service industry. Andrew Bata is the Regional manager, North America for UITP. He is a career urban transportation professional having served in various executive roles for the New York Metropolitan Transportation Authority where he led units of service planning, innovation and new technology deployment. His focus is enhancing public transit by championing sophisticated customer service concepts including advanced real time information systems, “21st Century” station design features and rolling stock design concepts that meet current passenger comfort demands and service throughput requirements. Active in high technology professional associations, he is the former president of the Intelligent Transportation Society of New York. He is also a professor of transportation at Columbia and New York Universities. He holds a Master of Science in Transportation from Northwestern University. Individual Level members are employees of corporations that have provided support to NUTC, even though their parent corporation (if any) does not directly support it. Farrukh Bezar has more than 20 years of industry and consulting experience in the railroad, trucking, logistics and air cargo sectors. He was a partner at Oliver Wyman, where he led engagements in the transportation and private equity space. He was also a principal at A.T. Kearney and Booz Allen Hamilton, supporting several transportation clients. Additionally, he was vice president of business development at Electron Economy, worked in sales and marketing with Santa Fe Railroad and as a financial analyst at Chase Manhattan Bank. Bezar received a BA from Northwestern University and an MBA from the Kellogg School of Management. His research has been published in Traffic World, Railway Age, and Purchasing. Managing Director & Group Head, Transportation & Logistics, Scott-Macon, Ltd.
Blackford has more than 40 years of investment banking experience, with 25 in the transportation and logistics sector. Scott-Macon, Ltd. Is a privately held investment banking firm focused on mergers, acquisitions and divestitures. Before joining Scott-Macon, he was a founding partner, managing director, and senior advisor with Sagent Advisors. Blackford was also a managing director of Donaldson, Lufkin & Jenrette Securities Corporation and its successor, Credit Suisse First Boston Corporation. He is a Director of Central Securities Corporation and Maersk Line, Limited. Blackford is a graduate of Washington and Lee University (BA, Economics) and the Darden School of Business at the University of Virginia (MBA). John Bowe’s experience in freight transportation began in 1976 with Prudential Lines. He spent 23 years with American President Lines (APL). From 2004 through 2010 he was President of Americas for APL, responsible for APL’s ocean transportation, container terminal, and logistics businesses throughout the Americas, and APL’s service partnerships with North American railroads and trucking companies. He holds a bachelor’s degree in mathematics from Hamilton College. Prior to acting as President & COO of Vosges Mike was COO at Peapod, an online grocer for 19 years. He joined Peapod in 1997 and has worked across numerous areas in the company, including leading Marketing as well as managing Transportation, Human Resources, Customer Service, Merchandising and Technology. Prior to joining Peapod, Mike was a Principal at the management consulting firm A.T. Kearney, where he focused on business and marketing strategy. Prior to A.T. Kearney, Mike was at Procter & Gamble. Mike is a graduate of the University of Illinois and the Kellogg Graduate School of Management at Northwestern University. He is married with three daughters and resides in the Chicago area. Vicki Bretthauer previously served as president, COO, and CEO of DHL Airways. Before that, she held operational and administrative positions at United Airlines and Reno Air. Her responsibilities have included maintenance, engineering, flight operations, airline operations, safety, and information technology. She has a bachelor’s degree from Rice University, where she is a trustee emerita, and an MBA from Northwestern University. Chairman, President & CEO, Rail World, Inc. In addition to his work with Rail World, Ed Burkhardt is chairman of Rail Polska (Poland), president of the San Luis Central RR; and a board member for Wheeling & Lake Erie Railway. He is a former chairman of AS Estonian Railways, Wisconsin Central Transportation Corp., and Algoma Central Railway. He also served as chairman of English, Welsh & Scottish Rwy. ; Tranz Rail; and Australian Transport Network. He worked for the Chicago and North Western Transportation Co. for 20 years. He graduated with honors from Yale University. James H. Burnley IV, Esq. Jim Burnley focuses his practice on government relations and regulatory and legislative affairs, concentrating on transportation matters. He served as U.S. Secretary of Transportation from 1987 to 1989 after serving as Deputy Secretary of Transportation from 1983 to 1987. He was general counsel of the U.S. Department of Transportation in 1983. Prior to his years with the USDOT, Burnley served as associate deputy attorney general for the Justice Department. Prior to the formation of Carlson Consulting International (CCI), , which serves the trucking, railroad, and railroad supply industries, Norman Carlson had a 34-year career with Arthur Andersen, the last ten years as the worldwide managing partner of the transportation industry practice. Carlson is the moderator of the Northwestern University Transportation Center’s Sandhouse Gang. In 2013, he was appointed to the board of directors of Metra, the Commuter Rail Division of the Regional Transportation Authority of Northeastern Illinois. In November 2016 Norman was elected Chairman of the Board of Directors of Metra. Lee Clair is the Managing Partner of Transportation and Logistics Advisors, LLC (TandLA). He specializes in advising clients in all aspects of transportation, logistics, and supply chain management. A recognized expert in the fields of transportation pricing, new product and service development, costing, and operations, he has assisted clients in rail, trucking, parcel, ocean, barge, and air freight. He also has considerable experience advising suppliers to the transportation industry, including equipment manufacturers and providers of leasing. Clair has held senior positions Mercer Management Consulting, Andersen Consulting and Norbridge, Inc. He holds a bachelor’s degree from the University of Maryland and an MBA from the University of Minnesota. Richard Craig is Vice President of Business Development for the North American Chassis Pool Cooperative, LLC (NACPC). Previously, Craig served as President & CEO of MOL (America) Inc., with a scope encompassing all MOL Liner activities in the US, Canada, Mexico and Panama. He worked for MOL for 12 years, including earlier assignments as head of Yield Management and North America Operations. Prior to MOL, he worked for APL Ltd. for 23 years in Logistics, Yield Management, Marketing and Finance, including overseas assignments in Hong Kong and Singapore. Craig started his career in transportation in 1978 as an analyst with the Southern Pacific Railroad. He is a Chicago-area native with an MBA from Wharton and a BA in Economics from the University of Illinois. Mark co-founded Clarendon Group in 1998. He has over 25 years’ experience as a principal investor, board member, C-level executive, and management consultant focused on the transportation and logistics market space. Mark has sourced five Clarendon investments, and those that have been divested have produced a combined IRR over 35%. Before launching Clarendon, Mark was a senior manager in the Transportation Management Consulting Practice of A.T. Kearney, where he led engagements in strategic development, M&A and profit improvement for transportation and private equity clients. Prior to A.T. Kearney, Mark was part of the team that launched Princeton Transportation Consulting Group (later sold to Manhattan Associates), where he led engagements applying university research from Princeton and M.I.T. to improve the profitability of transportation clients. President, Overland Limited Associates, Inc.
Hart has 38 years of experience in transportation finance as the treasurer of a Class I railroad, a financial advisor to short line and regional railroads and as a banker providing loans, leases and other banking products to railroads, rail supply companies and rail equipment lessors, truckers, and marine transportation companies. Hart established and successfully led the Surface Transportation lending group at Fifth Third Bank in Chicago. Before that he served as senior vice president and credit products delivery senior officer for Bank of America in Chicago. Hart earned a bachelor’s degree and an MBA from Northwestern University. RHTF, LLC provides financial strategy, planning and risk management guidance for companies involved with freight transportation. In 2010, Inselbuch established South Street Ventures, a boutique corporate finance and advisory consulting firm. Previously, he was executive vice president and CFO for Watco. Inselbuch spent 23 years in the investment banking department at Credit Suisse, where he co-headed the Firm’s investment banking practice in the transportation and logistics sectors. He received an MBA from Dartmouth College and an AB in politics from Princeton University. Chuck Lounsbury has more than 30 years of experience as a Senior VP, President, and CEO of several multinational corporations in the logistics, construction, and con­sumer products industries. He is currently an adjunct professor of logistics and supply chain strategy at Florida Gulf Coast Univer­sity. He has been quoted in many publications including Forbes, Fortune, Business Week and The Wall Street Journal. He holds a master’s degree from the University of Rhode Island. Craig Philip spent 35 years in leadership positions in the transportation industry, including maritime, rail and intermodal. From 1993 to 2014 Philip served as President/CEO of Ingram Barge Company. He began his career at Consolidated Rail Corporation and later joined the Southern Pacific Railroad as the VP of their Intermodal Division. He served as chairman of several major committees and is a member of the Transportation Research Board and Marine Board. He joined the faculty of Vanderbilt University in 2014. Philip holds a PhD from MIT and a bachelor’s degree from Princeton. Cliff Porzenheim is the COO of FarmLogix, LLC, a logistics management and technology company serving food service managers and other institutions in the high growth local food segment. Previously, he served as President & COO of Milestone Equipment Holdings from 2014 until the company was sold in 2015. Prior to joining Milestone, Porzenheim was Senior Vice President of Strategic Growth at GATX and CEO of American Steamship Company, a GATX subsidiary. In earlier roles at GATX he managed the North American railcar lease fleet, and led the strategy function for the company. Previously, Porzenheim was a management consultant at the Boston Consulting Group and A.T. Kearney. He holds an MBA from the Northwestern Kellogg School of Management, and a BS in Economics from the Wharton School. Jim Rankin is the CEO of West Star Aviation. He previously served as President and & CEO of Columbia Helicopters from 2014-2017, President and CEO of Air Wisconsin, from 2006-2014, and President and CEO of Skyways Airlines prior to 2006. He is an ATP pilot with 11,000 flight hours and type ratings in the King Air 350/1900 and MD-80 aircraft. He is very active in the aviation industry, including representing the industry on the FAA’s NextGen Advisor Committee among other leadership and advisory positions. Rankin holds a bachelor’s degree from Carroll College and an MBA from Northwestern University. 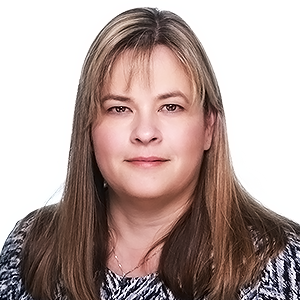 Kathleen Ross has been engaged in the transportation space since 1982, providing and structuring debt and equity capital markets solutions, credit, advisory and ancillary services to national transportation companies and private equity sponsors active in the space. Her areas of expertise include trucking, logistics, and Jones Act shipping. Ms. Ross received a bachelor’s degree in Russian studies from the University of Michigan and an MBA in finance and accounting from Columbia University. A former vice chairman of Morgan Stanley, James Runde is a Wall Street investment banker specializing in strategic and financial advice. Throughout his career, he worked on mergers, privatizations, and restructurings, focusing on the transportation and infrastructure industries. He has also served on the board of directors of Burlington Resources, a large U.S. oil and gas company, and he serves as a trustee of the Morgan Library & Museum. Andy Sze is the founder, managing directory and partner for Fastraxx, a consulting firm with strong Asian expertise. He has more than 30 years of senior management experience in global logistics and was the CEO of a highly successful 3PL. Since 2007, he has worked with the governments of China and Central Asia on developing the New Silk Road linking China and Europe. He is a fellow of the Intermodal Transportation Institute and a former director of American Society of Transportation & Logistics. He holds a bachelor’s degree from the Illinois Institute of Technology, an MBA from the University of Chicago, and an MS/ABD from Northwestern. Barbara was head of the Surface Transportation Team within Wells Fargo Equipment Finance from 2013 January 2019. In this role, she served as President of Wells Fargo Rail, the rail equipment operating leasing subsidiary of Wells Fargo Bank. Wells Fargo Rail is the largest rail equipment operating lessor in North America, and owns and leases over 175,000 railcars and 1,400 locomotives. At Wells Fargo, she managed the Commercial Vehicle Group that leases and finances Commercial Vehicles and originates over $2 billion in new financings each year. She provided strategic team leadership and implemented long-range goals, strategies, plans and policies. Before Wells Fargo, she worked for 11 years as CFO of Helm Financial Corp., a private equity owned firm. She started her career at Bank of Boston in the Transportation Lending Group focused on financing numerous shortline and regional railroad start-ups, and earned a Bachelor of Science in Business Administration from Boston College and an MBA from Babson College. Justin Zubrod, Sr. is managing partner of Justin Zubrod & Company, LLC, a professional services firm focused on the logistics and transportation sectors. He has previously served as a leader of the commercial transportation management consulting practices at Booz & Company, Booz Allen Hamilton, and A.T. Kearney, Inc. His specialty is strategy and turnaround work serving leading companies in the rail, package, motor carrier, air, and logistics sectors. Zubrod’s clients comprise operators, investors, law firms, and public agencies throughout the world. He received his undergraduate degree at the University of Maryland and MBA at Northwestern University. Zubrod is chair of the Northwestern University Transportation Center Business Advisory Council.